75261 Clone Scout Walker - 20th Anniversary Edition is a Star Wars set released in 2019. 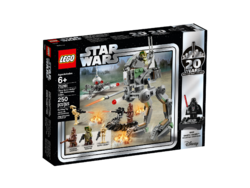 The set contains an AT-RT, Dwarf Spider droid and a trench area with a mounted heavy blaster. 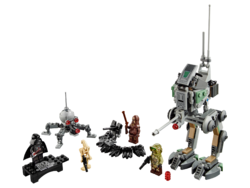 Facts about "75261 Clone Scout Walker - 20th Anniversary Edition"
This page was last edited on 15 April 2019, at 01:53.